​The Redditch Tour Series Cycle Race returns to Worcestershire on May 9 for the eighth year and West Midlands Railway has been announced as official Travel Partner for the second year. Around 15,000 people are expected to turn out for the event which brings hundreds of elite cyclists to the town. ​London Northwestern Railway passengers are being advised to plan ahead if they intend to travel over the upcoming Easter and early May bank holiday weekends. 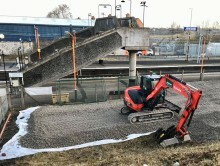 Essential planned improvement work will be taking place at London Euston, and also on the West Coast Mainline between Rugby and Birmingham International. Passengers are being reminded of important changes to the ticket office at Longbridge station in Birmingham as the second phase of its £1.7 million refurbishment begins next week. 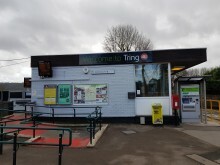 The old booking office will be replaced by Spring, with a new fully accessible ticket counter making the station more user-friendly for everyone. Plans are today unveiled for the new passenger rail stations on the Walsall to Wolverhampton rail line. These are the latest images of the proposed Darlaston and Willenhall Stations currently being developed by regional rail chiefs. ​Trains on the Cross City line are currently undergoing a major overhaul, to improve the experience for passengers on the line. The trains are having a fully accessible toilet fitted, along with upgraded passenger information screens, new seat covers and a deep clean of the interior. Staff at Milton Keynes businesses are being offered savings on travelling to work using London Northwestern Railway, when employers sign up to SmartGo. SmartGo Milton Keynes is a scheme to help encourage commuters to use various forms of public transport, by providing offers with local operators. Passengers at Worcester Foregate Street are invited to share their views on plans for the redevelopment of the station. West Midlands Railway is investing over £1m into upgrading the concourse area and improving customer facilities. 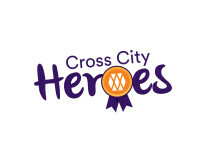 Local Scout groups, animal charities and social groups tackling loneliness in their communities are among those already nominated as the region’s Cross City Heroes. The campaign has also seen entries highlighting a local charity which supports neonatal units and a group working with their local library. 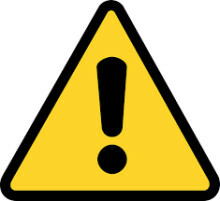 ​Passengers travelling to and from Liverpool for tonight’s football match at Everton, are advised to check before they travel as trains may be delayed or cancelled throughout this evening. Overhead line problems near Hartford have been disrupting services between Crewe and Liverpool. London Northwestern Railway and West Midlands Railway have committed to making rail travel more accessible for those with dementia. Through a year long partnership with Alzheimer’s Society, the train operators will be taking steps to make stations and trains more dementia friendly. The charity will also be educating frontline staff around best practice in helping those with the condition. ​48 penalty fares have been issued to ticketless travellers at Wolverhampton station this afternoon (5 Feb). 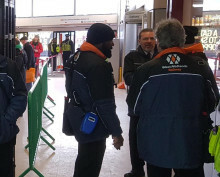 Revenue protection and security managers from West Midlands Railway were checking tickets as passengers made their way in and out of the station, whilst supporting a knife arch exercise taking place at the same time. 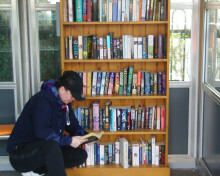 A new compact community library has opened for passengers at Berkswell station. The initiative has been launched by station adopters from The Berkswell Society, who hope to engage with travellers and create a warm welcome for commuters. A special display at Wellington station will be sharing a message of love with rail passengers this Valentine’s day. 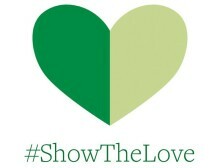 The local Women’s Institute (WI) are working with The Climate Coalition for their annual 'Show the Love' project. This year’s initiative will be based on the platforms at Wellington station from Monday (11 Feb) onwards. As part of a six-month residency in Chelmsley Wood, artist Chris Alton is co-producing a contemporary take on a ‘Mystery Play’ to be performed in Spring 2019. Alton will work with local residents to explore story telling through a series of creative writing, performance, set and costume making workshops from January-April 2019.